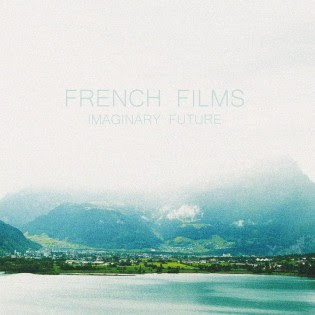 So we are big fans of French Films here at Fake Plastic Tunes and are not going to be shy about it. We have posted several times about the band over the past few months in anticipation of their debut album 'Imaginary Future' which is scheduled for release September 21st (Scandinavia / Japan) (via GAEA Records, Rimeout Recordings) and later in October/November (via Carco Records / Snowhite) in GAS. Out newest listen at French Films music comes with the song 'Pretty In Decadence' which will be one of the 10 songs featured on their upcoming debut. Now already hearing 'Convict', 'This Dead Town', 'Golden Sea' this newest song 'Pretty In Decadence' is our 4th song we get to hear. Just as we have already heard in past songs it delivers another catchy offering of Finland's finest indie/power pop sounds. Check out our interview with the band and past articles below, along with the soundcloud stream of 'Pretty In Decadence, and the albums tracklisting. SOUND CHECK: French Films INTERVIEW . French Films - Golden Sea EP.